Japanese history by Matt S.
In my series of Japanese history pieces, I’ve looked at the three generals who became the effective rulers of Japan through the Sengoku period; Nobunaga Oda, Hideyoshi Toyotomi and Ieyasu Tokugawa. These three men were, by far, the most powerful and important generals through the lengthy civil war that would come to be the focus of such games as Samurai Warriors and Sengoku Basara, but they were by no means the only leaders that have since captured the imaginations of writers and game makers. 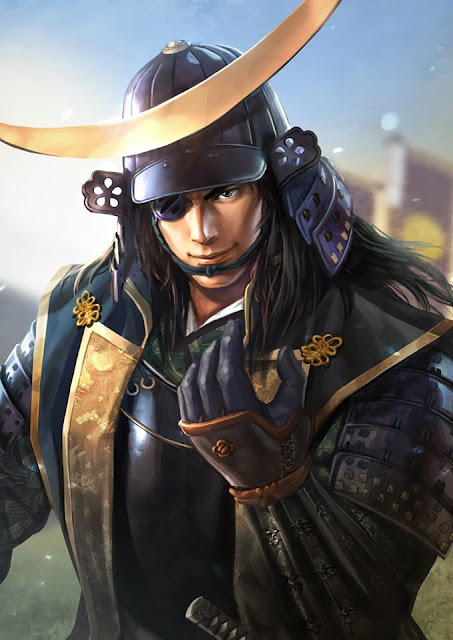 One of the most famous of these “second tier” leaders of Japan through the Sengoku period was Masamune Date, a leader in the relatively quiet north of the country, best known for being flamboyant and a glory seeker in battle. I figured that we’d take a look at Date this week, as he is the focus of the recently-released DLC for Koei’s brilliant Nioh. Related reading: To relive Date's campaigns in a videogame, Nobunaga's Ambition is the way to go. Matt's review. Date was born in the north, on the western coast, in what is today the Yamagata Prefecture. He was involved in military action from a very young age and became the leader of his clan at just 17 years of age when his father retired. Right from the start, he had a reputation. As a child, smallpox had rendered his right eye useless. But Date took things one step further than that; he actually removed the eye from the socket. Records are divided on how this happened; some claim he had his most trusted retainer do it, while others insist he plucked it out himself. Either way, it was a deliberate act and helped Date build a reputation for being a guy who shouldn’t be messed with. He was also keen to be noticed on the battlefield (apparently fame was more important to Date than being a target for enemy arrows and bullets), wearing a distinctive, dramatic black-and-gold suit of armour into battle. That crescent moon helmet we generally see Date wearing in games like Samurai Warriors is an exaggeration, but not by much. He really did stand out and wore ridiculous headgear to make sure he did. When Date inherited his lordship, the region around him was in a relatively peaceful state, with cross-clan marriages helping to maintain peace. However, one of the Date retainers, Hatakeyama Yoshitsugu, betrayed Date and kidnapped his father, which led to his father’s death. Date swore revenge, but was soon put in a difficult position when Hatakeyama formed alliances and, in the battle of Hitotoribashi, outnumbered the Date forces by some 30,000 to 7,000. Date had retreated to his castle for a final stand, but the alliance disintegrated, and he was subsequently able to claw his way back to a position of power. 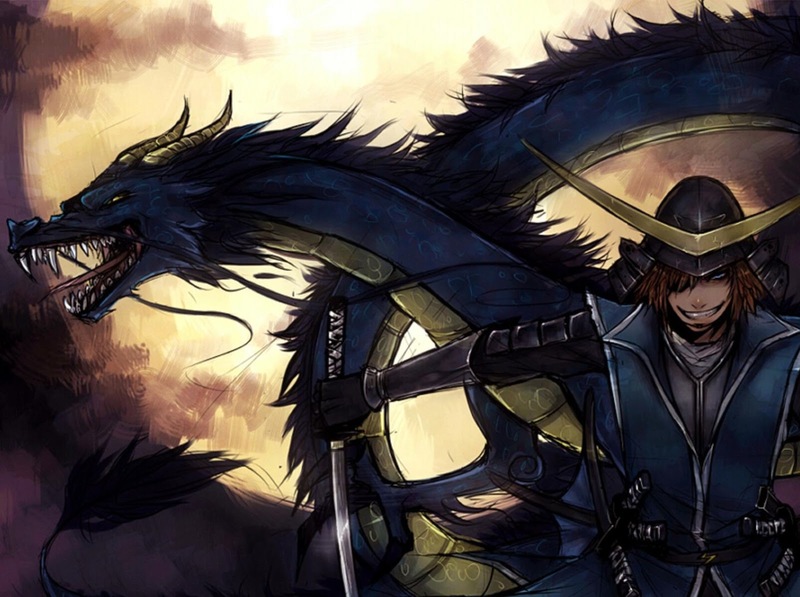 Date was ultimately able to defeat his chief rival clan and add the lands of modern day Aizu to his own. Date really built up his power only after Tokugawa came to power, however. Tokugawa was a leader Date supported to a much greater extent, and it was as a reward for this service that he was given Sendai domain. The area was quite a wealthy one, and actually made Date one of the most powerful leaders in Japan, but at the time it wasn’t managed particularly well. Date decided to take a tiny fishing village, Sendai, and turn it into the regional capital, and this proved to be a wise move indeed; its location has seen the city become one of Japan’s most important in the years since. One of the fascinating things about Date is that he was a man of incredible contrasts. He was an ambitious and temperamental general on the battlefield, and had no issue staring down even the likes of Toyotomi, but Date was also well-loved as a hugely ethical and cultured man. The one-eyed dragon had an eye (pardon the pun) for economics and trade, and was responsible for north Japan becoming an important part of the nation’s overall economy. He was also a patron of the arts and funded one of the first expeditions from Japan to Europe, sending his own people to establish a relationship with the Pope in Rome. It’s likely that Date was as interested in Europe for the weapons it could provide as its religion and culture; likely he arrived at this conclusion after seeing how the progressive attitudes of Nobunaga Oda to overseas trade benefited his own ambitions. Date was enthusiastic about Christianity and foreigners and encouraged them to visit his lands. When Hideyoshi Toyotomi and Ieyasu Tokugawa steadily shut down Japan’s borders and began persecuting Christians, Date was forced to follow along, but it appears he continued to show sympathy to these people where possible. It’s also believed that Date allowed his daughter to convert to Christianity. 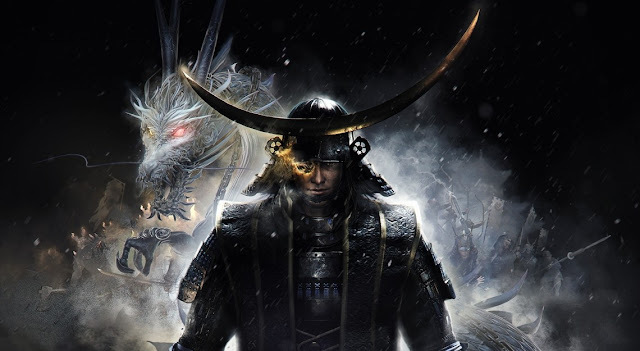 Related reading: Nioh recently got a DLC that features Masamune Date heavily. Matt's review of the base game. Date was never quite trusted by Japan’s rulers. Hideyoshi Toyotomi reduced the amount of land Date held (the most effective way to weaken a ruler back in the time). Ieyasu Tokugawa increased it, and Date’s loyalty to Tokugawa was absolute, which makes the distrust that Tokugawa felt towards Date all the more odd; but that is perhaps the consequence of spending so many years fostering a reputation for being a flamboyant and fearless military strongman. In games, we don’t generally get a chance to see Date’s more cultured side. What we see is his attitude in battle, and while that makes him one of the more popular warriors from the era, he does tend to be one of the most poorly represented in these games. It also doesn’t help that Date didn’t participate in too many of the major campaigns through the Sengoku period. His early battles were of more local concern (meaning developers struggle to include them in a meaningful manner in the context of all the other battles represented in the game), and his participation in the bigger conflicts was marred by the minimal trust his generals had in him, i.e. he was not given a pivotal role in these battles. Outside of combat, the lands that Date presided over were also relatively quiet and poor, meaning that in games like Nobunaga’s Ambition it’s difficult for Date to play a major role, either as player-controlled or AI opponent. As such, I get the feeling with these games that Date tends to be under-represented, and his importance to Japanese history consequently is often overlooked. What we see is a highly eccentric guy with an eyepatch, blistering across a couple of battlefields, but having little impact on the shaping of Japan. In practice, the north of Japan, and the economic and social weight that it lends to the entire country to this day, just would not have been the same without him.